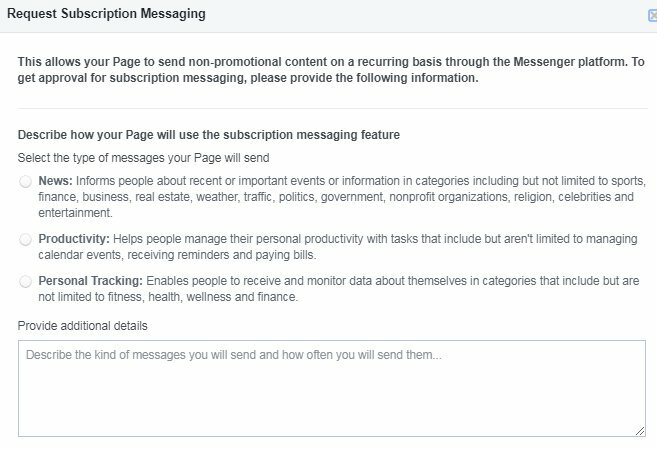 Even though they don’t have a firm deadline for this change any more, Facebook is still gearing up for some big changes to subscription messaging permissions. 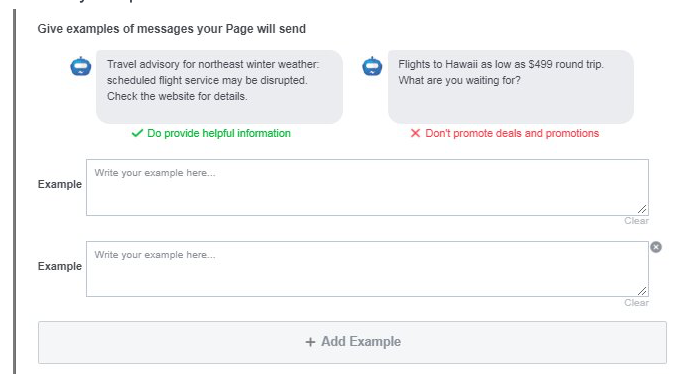 If you’re a Facebook Page admin who uses chatbots to send out regular content updates to your subscribers, you need to read this. In a nutshell, if you want to reach your subscribers on Facebook Messenger for free, you need to get permission by proving that your bot doesn’t spam. Facebook is transitioning from App-level subscription messaging to Page-level subscription messaging. So, instead of the permission to message your users coming from ManyChat, Chatfuel, Mobile Monkey, etc., it’ll be handled by the person who runs the Facebook page. If you’re reading this, there’s a good chance that person is you. 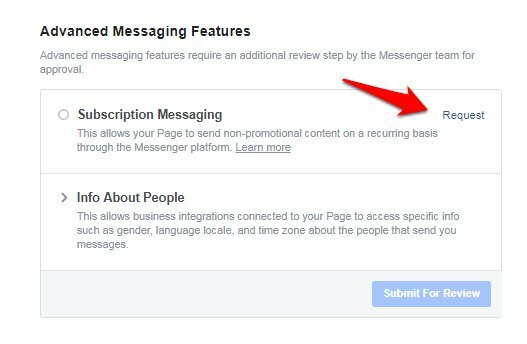 This means you’ll have to apply for permission to message your subscribers with regular content on Messenger. Let’s delve into what you’ll need to know to stay ahead of the curve. A subscription message is regular content that informs your subscribers and doesn’t try to sell to them. This might make subscription messages seem trivial at first glance, but they hold substantial benefits. What do these all have in common? They’re offering something helpful without selling anything. Consistent updates means you stay connected with your audience through meaningful content, which provides value for both you (with engagement) and them (useful and relevant information). It makes sense, then, that you’d want to maintain this fruitful relationship with your audience and adapt to the new policies. 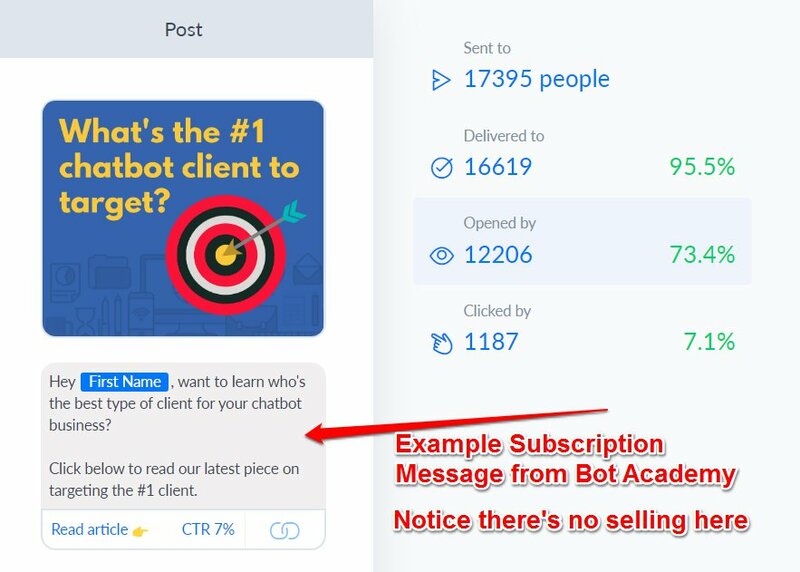 So if you nurture your audience with regular content, your best bet is to apply now to keep sending subscription messages through your bot. There’s some information you’ll need to provide to Facebook to be approved under their policies, so let’s get into that next. Thankfully, the process is straightforward. Let’s start with how you can access the messaging request form with 3 easy steps. In the ‘Advanced Messaging Features’ section, there’s ‘Subscription Messaging’ with a ‘Request’ link. Click that link to start the application. Choose the type of regular content your page sends: News, Productivity or Personal Tracking. Most of us will fall under News unless your business is specifically a productivity tool or health/fitness/finance tool. Provide any other information about the type of messages you send that will help the reviewers understand your specific content. Give 2 examples of the messages you typically write as regular content to your subscribers. Finally, check the box at the bottom to confirm your bot will play by the rules and send only non-promotional content. Bear in mind that the request form is manually reviewed, so a real person will be going through your responses and reading what you submit. It pays to provide good examples and as much additional information as you can to facilitate the approval process. But don’t worry if you get denied because you can re-apply as many times as you need. In the meantime, there’s no restriction on sending other message types while your subscription message application is in the works. It’s a lot to take in, and more evidence that building and managing bots takes consistent effort. If you’re looking to learn the ins and outs on proper chatbot building and implementation, Bot Academy is the leading chatbot training company. Use this to get our free training.